Labour are in trouble and it is difficult to see how they are going to resolve their almost catastrophic and perilous situation. In a week that can only be characterised as classically chaotic there seems no end to the lengthening catalogue of woes, worries and predicaments. Never before has a party of the main opposition of the UK descended into such an uncoordinated and unmanageable shambles so quickly and it looks like this is only the start. The Blairite backbench remain resolutely disengaged from their front bench Corbynite colleagues and an ‘in your face’ defiance now replaces the campaign of ‘hostile accommodation’. Blairite outriders are now prepared to go on to the media and openly criticise their leadership and in Parliamentary statements the criticism of their leadership is becoming more pronounced. Add to this the poisonous personal criticisms and feuds across this unbridgeable divide and you have the perfect internecine storm. I know that there is a distinction made between ‘Blairites’ and Brownites’ but I have never fully understood it. Apart from some curious personality issues all are illegal war voting, tuition fees supporting, foundation hospital a-forming, ideologically connected, comrades…. So, for the convenience of this piece, I will group them in the collective ‘Blairite’ after the political historically altering mastermind and most venerated example of the form. And these ‘Blairites’ are still shell shocked about what has happened to them and there is still disbelief that the party they managed, shaped and built in their image has rejected their stewardship. They now patrol the backbenches like some sort of Kings across the water awaiting the call for them to come and fix it all out once again. Restrained by ‘that mandate’ they recognise the authority that Jeremy and John McDonnell have with the party membership and the huge majority that Jeremy just so recently received means the Blairites need to poke their toes in that water very carefully. Dumping Jeremy without good cause would be akin to declaring war on the party membership and even the Blairites recognise that in the Labour Party the membership is legion. Meanwhile ‘the membership’ are watching this Blairitie defiance with all sorts of darkening deselection threats and increasingly shrill calls for the Blairites to just support ‘their’ leadership. The thing is the Blairites are not what one could casually refer to as a ‘modest’ bunch and they still believe that they speak for the ‘ordinary Labour voter’, though, it would have to be said, without any real evidence that the British public have found a renewed political affection for high Blairism. And what of that ‘British public’? Well, there’s only been a couple of opinion polls and UK Labour are crashing down to the levels of Scottish Labour. Outside of Scotland the rest of the UK have not been in the least bit warmed up for Jeremy’s agenda and he is unlikely to convince the English electorate of the value of a political strategy that has only inhabited the fringe of political discourse south of the border. Add to that the fact that the public hate divided parties there seems no prospect of anything other than an absolute electoral hiding when UK Labour have that next day of destiny with the British public. In Scotland, therefore, we are facing a generation of unwanted Tory rule. In fact it’s even worse than that. Unconstrained by any perceived electoral threat from a diminished and unelectable Labour party the Tories will be only further emboldened. Like an unassailable Thatcher they will up the callousness and cruelty not attempting to make any pretence to even sort of care about the victims in the way of their reinforced and electorally backed ideological agenda. Yes, Scotland, this was the future union we sort of warned you about. Now, if only there was some sort of solution and way out of all of this for us…..? This entry was posted in Uncategorized on November 22, 2015 by petewishart. HEALTH, EDUCATION AND THE POLICE. Expect to hear a lot of misery about this little troika of domestic issues from our unionist friends in the course of the next few months. Unable to move the Scottish people on from the many unresolved constitutional issues that still consume our national debate the UK parties are desperately looking for anything that will breathe life into moribund campaigns. Unfortunately for my unionist friends these attacks are as unlikely to have any more success than the efforts they have put into trying to get the Scots weaned off constitutional politics. There’s a couple of ground rules in politics that have to be in place before any sort of political attack will work. This is particularly true of public services that people use all the time. Most importantly any attack must resonate with the public. If an attack on public services is to hit its mark it must be able to chime with the experience of those in receipt of those said public services. And this is the problem for the unionist parties. Most of the Scottish people remain satisfied with the performance of Scottish public services and SNP stewardship of them. In health, education and policing most people are happy with what they secure – almost extraordinary when budgets are having to be cut right across the board. On health, education and the stewardship of the economy less than 30% of Scots believe that the SNP stewardship is poor, education is actually below 20% the rest either satisfied or believing that our stewardship is good. Only in policing is there more people who believe that SNP stewardship is ‘poor’ as opposed to ‘good’ and that is only by a small margin. People therefore look on at all these unionist attacks with bewilderment. It also seems like that they are talking down the services that they enjoy and the overt negativism then becomes counter productive. And let’s take the example of policing. This should be the easiest hit for our unionist friends and even they are not so dim as to realise that. This is why there has been the constant (almost beyond distraction) attacks on the police. 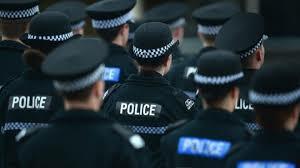 Police Scotland is perhaps the biggest piece of public sector reform undertaken in recent years so the possibility of a variety of issues and problems emerging was always likely. Police Scotland is certainly having almost predictable problems but here’s the thing. Recorded crime is falling, more police are on the street, detection rates are up and people feel safer in their communities. All of this is a disaster for politicians who need to demonstrate that something is fundamentally wrong with Government stewardship of the police. People just don’t see it or feel it the way that those unionist politicians want them to. This is the same in health and education where the Scottish people are seeing falling waiting times, new schools, record exam passes and a health service remaining true to its founding principles. That’s before we get on to free tuition and prescriptions. Yes, there are problems with public services and problems will inevitably continue to emerge but there is nothing to suggest that the Scottish public believe that the Scottish Government won’t be able to deal with them. The other just as important ground rule in attacking the record of a Government is that those on the attack must have an attractive and convincing alternative vision of their own. This is where our unionist friends fall down spectacularly. Very few people in Scotland believe for a minute that either Labour or the Tories would do any better. With the Tories we only have to have a cursory glance beyond the border to see what would happen if they were ever trusted with our public services. Whereas Labour in its current diminished and chaotic condition is observed with nothing other than something approaching pity. And you don’t have to take my word for any of this. You only have to look at the opinion polls to see the continuing trust in the SNP. Support for the SNP is just shy of 60% in the latest opinion poll with Labour languishing in the mid 20s and the Tories on another historic low at 12%. If the unionist parties think that they will secure some sort of solace in targeting our stewardship of public services then they have not counted on the real experience of real Scots and their trust in us to manage the services they enjoy. Attacking us on our stewardship of public services is as likely to end up as successful as attacking us on the constitution. Forlorn and ultimately self-defeating. This entry was posted in Uncategorized on November 15, 2015 by petewishart. Mr Speaker: Does the hon. Gentleman wish to orate? Pete Wishart: I do wish to take the opportunity to orate because we are profoundly disappointed with the time available to discuss significant and important issues, including amendments to the Scotland Bill, which is a critical piece of legislation for our nation. More than 100 amendments have been selected for debate this afternoon, and that follows the 76-page document that listed amendments tabled by right hon. and hon. Members across the House. We now have something like two and a half hours to debate critical amendments on tax powers and the constitution. After that, we will probably have less than two hours to discuss the equally significant welfare powers in the rest of the Bill. Madam Deputy Speaker (Mrs Eleanor Laing): Order. The hon. Gentleman is making extremely important points. He says that he needs to be heard, and he needs to be heard not just outside the Chamber but inside it. Members will be quiet while he speaks. Pete Wishart: Scotland is watching. People are observing these proceedings and cannot believe that we have been given such a limited amount of time to debate such critical and significant amendments. The Bill had four days in Committee. We were surprised and delighted that we got all that time, but what a supreme waste of time those four days were, with a Government who were only semi-engaged in that debate. The Government accepted not one amendment from the hundreds that were tabled, and they provided nothing, with no significant amendments of their own. The Secretary of State said that the Committee was a listening and reflecting stage. He was more reflective than a high street mirror shop this summer, but the one thing he did not do was engage properly in the Committee of this House. It was all about listening. If Committee stage of a Bill is about listening, we may as well go round to see the Secretary of State and have a little chitchat over a cup of tea, or perhaps even write to him. A Committee stage of this House should be the place where amendments are properly debated and considered, with a Government who are engaged in the process. It is not good enough to table hundreds of amendments on Report and have a time-limited debate to consider them. That shows great disrespect to the House, and it is not the way to do business. If this is how we will do business in the House in future, and if the Committee of the whole House is nothing but a listening exercise, we must recalibrate how we do business in this House. It is not good enough that we spent all that time merely being listened to, and then we are given five hours today to discuss serious, significant and important amendments that our nation needs to make its business. We now have hundreds of amendments since the Government decided to engage with this process. They told us that they were all unnecessary and that we did not need them because the Smith Commission was delivered in full, yet today, all of a sudden and in the limited time available, hundreds of Government amendments are on the Order Paper. We will not have the opportunity to scrutinise properly the proposals that the Government have put before the House today. We still do not believe that the Smith commission has been delivered in full. We have tabled amendments to ensure that it is delivered in full, but even if those are accepted, the Bill is still significantly behind where the Scottish people are and what they want from the constitutional arrangements for our nation. This is only the start of a catch-up process. Ian Austin (Dudley North) (Lab): I know that the hon. Gentleman wants to complain about how terribly Scotland has been treated, fuel grievances and wind up the Scots, but instead of whingeing about the process and wasting time, why does he not sit down and allow the debate to take place? Ian Austin: Will the hon. Gentleman give way again? 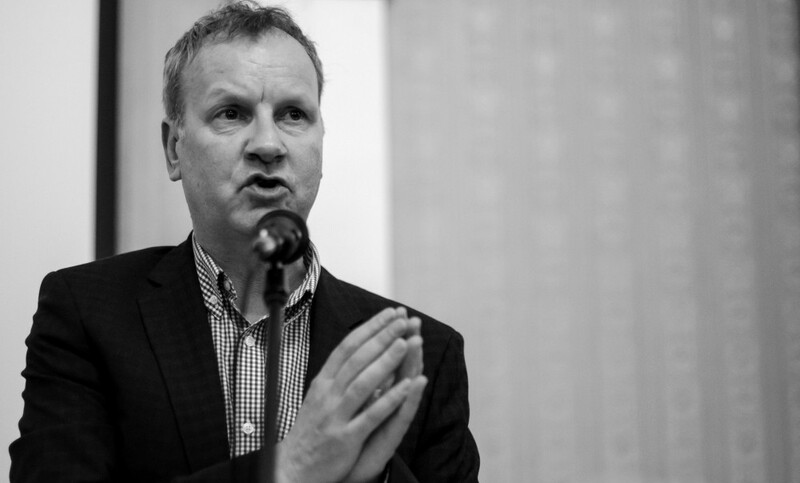 Pete Wishart: I am not giving way to the silly hon. Gentleman again. Ian Austin: On a point of order, Madam Deputy Speaker. It is a disgrace for the hon. Member for Perth and North Perthshire (Pete Wishart) to accuse people of attacking Scotland, when all they are doing is commenting on his ludicrous tactics—him personally, not the people of Scotland. Madam Deputy Speaker (Mrs Eleanor Laing): The hon. Gentleman knows well that that is not a point of order for the Chair: it is part of the debate. The hon. Member for Perth and North Perthshire has pointed out that there is only a short time available for this debate, I hope that we can soon come to the debate itself and that he will also curtail his remarks. Pete Wishart: I do not want to take up time, but I want the House to understand the rage that my hon. Friends and I feel about the limited amount of time that we have been given today. I also want to reassure the House that we are not looking to have the Bill certified as English only, even though the Government consider the Scotland Bill to be an English-only Bill. We do not even want it to be certified as Scotland only, even though every single bit of the Bill applies exclusively to Scotland. I just hope that in the few short hours we have for debate that English Members will remember that when they make their contributions and vote. I hope that they listen to the voices of Scottish Members of Parliament on the Bill. It is not good enough to turn up and decide to have their say on Scottish business in this new age of English votes for English laws, but we will not have the Bill certified today. We want the Bill to be discussed and debated properly, although it is way behind what the Scottish people require. We will not press the programme motion to a Division, even though the House knows how angry we feel about the limited time, because that would take further time from the debate. Patrick Grady (Glasgow North) (SNP): Does my hon. Friend agree that the real irony is that after today’s truncated debate, the Bill will move to the House of Lords for weeks, possibly even months, of scrutiny with no democratic mandate from any voter in Scotland? Pete Wishart: That is exactly what will happen. The minute the Bill leaves this House it goes to the unelected Chamber of donors and cronies who will seek to impose their views on the business of Scotland. It is an utter disgrace. If the Secretary of State thinks that the Bill puts a line under the ambition of the people of Scotland, he is gravely mistaken. Scotland has a fuller vision for itself now. Scotland is a more confident, assertive nation and it will never stop asking for more responsibility. The Scottish people know that it is better that they are in charge of their nation’s affairs, instead of a Conservative Government that we did not vote for, with a solitary Scottish Member of Parliament. This entry was posted in Uncategorized on November 10, 2015 by petewishart. THE JOY OF SCOTTISH QUESTIONS…..
Scottish Questions has never been the most enjoyable experience for Scottish National Party Members of Parliament but this monthly session seems to be descending further into frustrating farce. Notionally, it exists to question the operation of the Scotland Office and examine the impact of reserved issues in Scotland. In reality it seems to be nothing other than an exercise for English MPs to turn up and shout ”SNP bad ” at the Scottish Government. Out of all the Departmental Question sessions it is by far the most dysfunctional and the frustration felt by bewildered Scottish viewers unfortunate enough to observe this unedifying spectacle on TV is shared by Scottish Members of Parliament. Up until May this is how it used to work. Random Scottish Labour MP would get up and ask a question ostensibly about Scotland Office responsibilities only to attack the Scottish Government. Scotland Office Minister would then respond agreeing with said Scottish Labour member before going on to further attack the Scottish Government with an even more prolonged description of Scottish Government failings. During the referendum ‘Scottish Government’ was replaced by ‘case for independence’ and the co-ordination of the UK parties reached its zenith. Now, of course, there is only one Scottish Labour Member, as there is the one solitary Conservative. They inhabit their respective front benches remaining the focus of Scottish Questions exchanges whilst the majority of Scottish Members fight over the crumbs of remaining opportunity. There is one innovation. Deprived of any Scottish Conservative colleagues the Secretary of State enlists Ministers from around the UK and from other departments to answer some of the questions on his department’s behalf. Scottish Questions has therefore become a sort of strange general question session handled by whatever unaccountable Minister is able to give up half an hour of their time on a monthly Wednesday morning. The other new feature is of course English Votes for English Laws. And there is not the least bit of embarrassment from our English colleagues in turning up to participate in Scottish Questions on ostensibly Scottish issues when we are at the sharp end of an English veto and excluded from stages of consideration of their ‘English only’ legislation. There must be a better way to raise issues about Scottish concerns in the House of Commons and Scottish Questions is in desperate need of reform. It should be a session where Scottish members can legitimately raise questions on the broad range of reserved issues that impact on our constituents in the full expectation that we will secure a response. There has been some tinkering in recent years so it can be done. In the last Parliament the Scottish National Party Westminster leader has been allowed to ask a further second question to the Secretary of State. This, whilst progress, falls short of the Labour front bench who with their one Scottish MP also secures the same privilege along with a further two allocated questions. EVEL has also meant that we change the arrangements in how we prosecute our business in the House on the basis of nationality. There is now no good reason then why there can’t be further reforms to accommodate the Scottish interest. 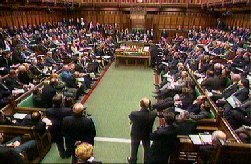 Members representing English constituencies should continue to play a part in these proceedings (it is the UK Parliament as we’re constantly told) but questions could be rotated so that there would be two questions to the opposition to one from the Conservative side, that would allow more Scottish members in. With 55 out of 59 MPs the SNP should also have full front bench entitlements in Scottish Questions and at least have parity with Labour. 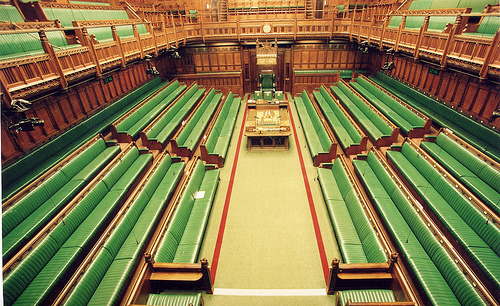 Most importantly English Members of Parliament need to exercise a bit of self discipline in the age of EVEL. If they think they are doing their Scottish colleagues a favour with their bungling, usually poorly informed, critique of devolved Scotland, they should be invited to observe the response from Scots to Scottish Questions. This Government thinks that they have cracked the nut with their EVEL plans but this works both ways in the unitary UK Parliament. In the age of English Votes for English Laws something close to Scottish Questions for Scottish Members should be the standard. This entry was posted in Uncategorized on November 9, 2015 by petewishart. I associate my party with the remarks about Remembrance day on Sunday. All my colleagues will be at services right across their constituencies in Scotland. I also reinforce the Leader of the House’s remarks about the contribution from overseas soldiers. On Sunday, I laid a wreath at the Polish war graves in Perth. This demonstrates that people fleeing Nazi persecution came to this country only to go back again in order that Europe be made free. It is a very important day that my colleagues will be sharing in. On this inauspicious day for parliamentarians, I hope there will be a bonfire reserved for the Tories’ callous welfare reform plans, stoked up with the plans to curtail trade union rights, while the proposals for tax credits are shredded and continue to go up in smoke. legislation. If a Committee stage of this House is just a listening stage, we are going to have to rethink how we bring business through this House. This week there was a historic vote in the Scottish Parliament when Trident renewal was voted against by a majority of 96 to 17. The SNP combined with most of Scottish Labour to vote down Trident, which will defile our beautiful country by being placed there. They now join the 57 out of 59 Scottish Members of Parliament who are resolutely opposed to spending billions of pounds on this obscene weapon of mass destruction. How will the Leader of the House respond to this very clear call from Scotland and from Scottish parliamentarians? Will we see support from the Labour party when it comes to debating this in order that it gets through? We know that the Blairites have a difficulty and an issue with Trident renewal, but surely the voice of Scotland must be listened to in this respect. This week, we had our first certified EVEL—English votes for English laws—Bill and it is been an absolute disaster thus far. We have heard of all sorts of panic in the Clerks Office and no one has a clue how this weird legislative hokey cokey will be played out as the Bill progresses through this House. Meanwhile, there is a dispute about the clauses that may be vetoed and uncertainty about whether or not they apply to Scotland. Mr Speaker, you said that this was an experiment. If it is shown at a very early stage that this experiment has become the dog’s breakfast we expected it to be, will the Leader of the House withdraw his EVEL plans and reinstate every Member in this House to the same status and class? Lastly, at yesterday’s Prime Minister’s questions the exchange between the Prime Minister and the Leader of the Opposition did not conclude until 12.16 pm, leaving less than half the available time for Back Benchers to ask questions of the Prime Minister. If PMQs are going to be so slow, will the Leader of the House agree to look at how they are conducted? As a starter for 10, perhaps we could limit the time available to the Leader of the Opposition to 10 minutes. He would still have a third of the available time and he could ask as many questions as he wants on behalf of whoever he wants, and then Back Benchers would have the opportunity to put their questions to the Prime Minister. If the Leader of the House agrees to that, the prospects of Back Benchers will be lit up as much as any firework display this evening. This entry was posted in Uncategorized on November 6, 2015 by petewishart.